Many people have questions when they are looking to buy a car. One of those pressing inquiries is whether or not they should lease a car or buy one. There are benefits to both; you just have to find the perfect one for you. When buying a car most people have to take out a loan in order to buy the car. Although loans are not something, people like to take out, taking out one allows you build up your equity. Building up your equity is an important thing for you to do and buying a car will help you achieve that. Although leasing a car will not help you build up your equity, your monthly payments will be lower. Payments when leasing a car are usually lower than payments on a car. If you are not willing to take out a loan or want lower payments, leasing might be the right option for you. Finding out whether to buy or lease is a hard decision. 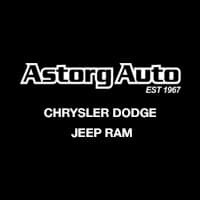 If you are having trouble deciding what to do, you can contact us at Astorg Dodge Chrysler Jeep to get some advice on your options. 0 comment(s) so far on Are You Deciding on Whether to Buy or Lease?